Our new Insights page (formerly known as Statistics) provides a deeper look into the activity around your profile and projects. Let’s take a look at what you can do on the new page. We’ve broken Insights into a few sections. The first is dedicated to Project Views, Appreciations, and Comments you’ve given to other members on Behance followed by a section related to similar statistics you’ve received on your own work. 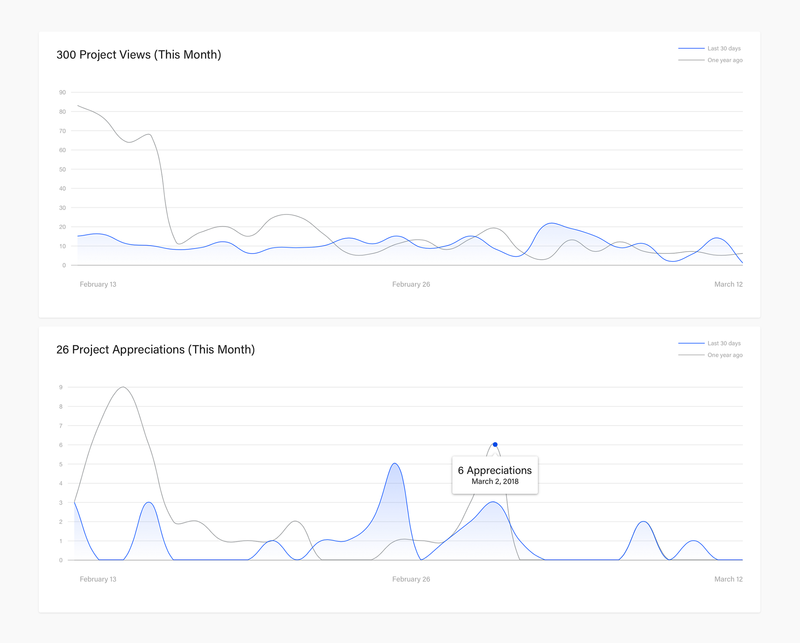 Next, we display month to date and previous year month to date graphs for Project Views and Project Appreciations. As you mouse over the graph lines you can see your Views and Appreciations for a specific day. 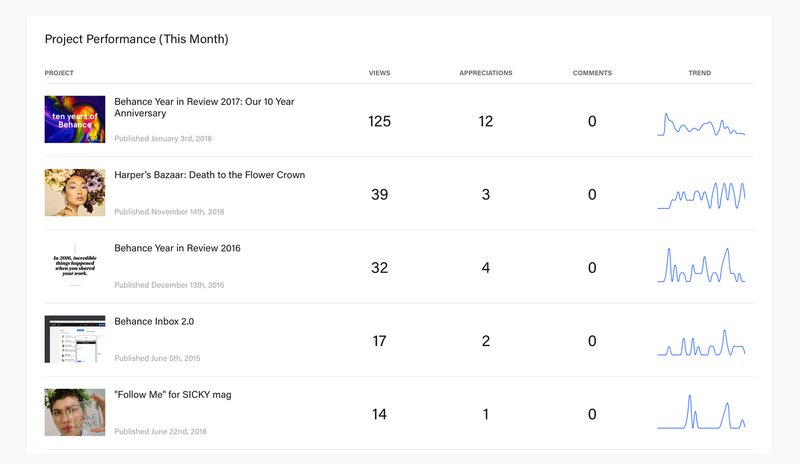 Lastly, Project Performance displays the month to date activity (Views, Appreciations, and Comments) of specific projects and a graph showing project views. 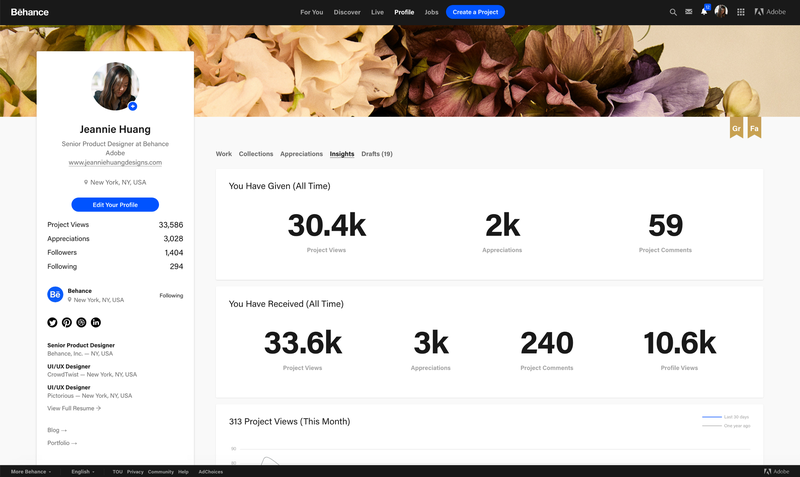 With the updated Insights, you’ll be able to track how you use Behance and the activity your projects and profile receive from the rest of the network. Armed with this data, you can experiment with how you produce, present, or promote your work. Have any questions or feedback? Let us know!